Mobile visitors generally do not want to know your business history, awards and achievements, staff profiles etc. Reserve this kind of info for your main website and direct your mobile visitor along clearly defined paths. Smartphone users are more likely to be responsive to coupons and offers – be sure to offer rewards to your mobile visitors and encourage them to share your offers socially. 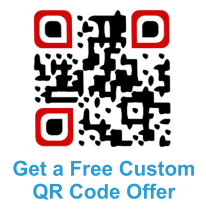 Treat your mobile prospects as VIP’s and you’ll build yourself a whole new lead generation system that you can market to time and time again.